So then fellow bikers, how often do you check your chain and give it a good going over with the oil? Yes, motorcycle chains, damn dirty things covered in the sort of filth that should be kept well below counter if you ask me! But does it have to be this way, does a chain have to be loaded with grease that holds grit and turns into a grinding paste? Up until recently I was using a spray can of chain grease to keep Sylvie's chain alive, through harsh winter commuting and pouring spring rain. After a very cold winter ride in freshly fallen snow (not an experience I ever wish to repeat, I can tell you) I was too cold to sort out her chain before putting her back in the garage, so when I got to her the following morning, rust had set in and as that winter progressed, despite regular maintenance, that chain slowly chewed itself to bits. However with sixteen thousand miles on it, I can say with a small degree of confidence that it did petty well. But that chain grease, is it actually any good? So when I fitted a new chain a while back along with a Tutoro automatic chain oiler to keep it healthy. Well, maybe not fully automatic, but for fifteen quid you can't go wrong. One hundred miles to a tube of oil and an always smooth and clean chain. There is a little fling on the rear wheel, but not more than the chain grease. However, as the oil is flung off, new oil is dripped on to replace it, can you say the same for the can of grease sat in the garage? So that was that. Well until I was so impressed that I contacted Tutoro and gave them a lovely letter saying that I was greatly impressed with their product and was going to share the word among our friends, which sure enough, I did. A while later Tutoro got in touch again and asked us if we would be interested in being involved in the testing of their brand new automatic oiler? To do so would mean bolting a new and shiny oiler onto my bike and running it around for a couple of weeks and then say what we thought of it. Now let's be honest here, if a chance like this lands in your lap, you are not going to turn it down are you? Being involved in the development of a new product is not only exciting, but is a real honour. So we signed the forms, agreed to keep it secret (which is why you are only hearing about it now, some months after the event) and waited for the new gadget to arrive. 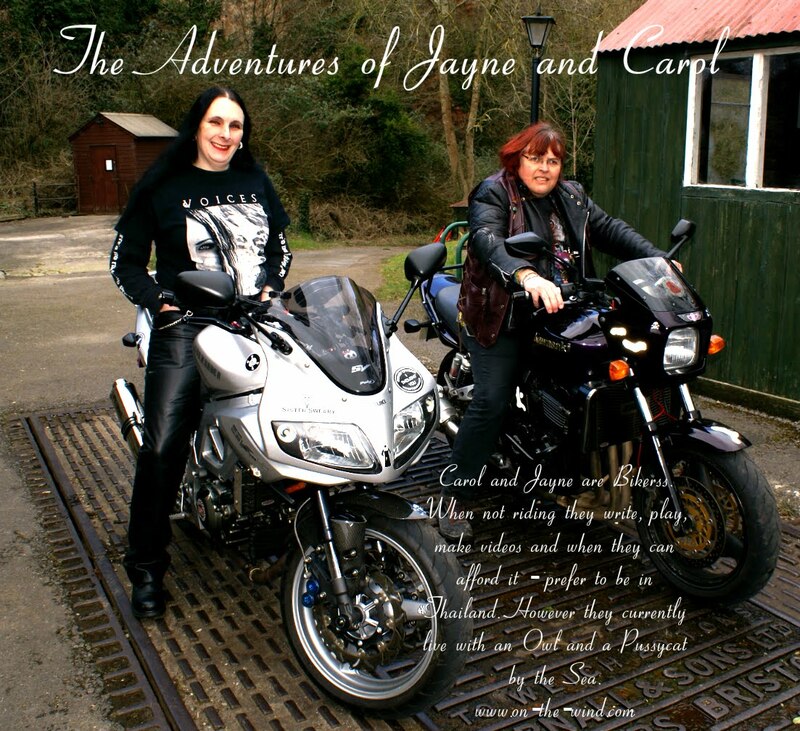 Then Sylvie was involved a little accident and she had to be sent away for a while to be repaired and I was left riding a Honda CBF600, a bike that at the time I hated, but have recently been remembering fondly. Sylvie was returned eventually, but with several faults that meant that she had to be returned. In the mean time, no Automatic chain oiler for her and the prying eyes of mechanics. So we fitted the device to Carol's ZRX1100, also known as Noreen to our regular readers (hello, we love you regular readers, you are awesome!) and then went for a ride. We did have to turn the flow up a little more than some of the others had used in the tests, but it performed very well. When the test stage ended, Tutoro asked that we send the unit back and after a couple of weeks they sent it back to us and kindly said that we could keep it! So it went right back on Noreen. Fitting the Auto Oiler to Noreen. You can see the size of the reservoir here, before it is hidden by the heel plate. So with that done and dusted we went out riding and my manual unit continued to work perfectly, providing that I remembered to turn it on or turn it off when we stopped anywhere. You know that saying of "bikes do not leak oil, they mark territory!" Well, if you forget to turn off you manual oiler and let's say leave it over night in the garage, the next morning you are faced with a little puddle of incontinence! Territory very well marked... Now this is a very minor issue and to be honest, I only did it once or twice, but it always performed very well. Then one day, the valve started to leak a tiny amount of oil. Now an oil leak like this means that the valve would get a bit oily and this would transfer to your gloves when you switched it on. Turns out that it is very simple to fix, you just put a dab of grease on the threads and that seals it back up again. I found this out by writing to the always lovely Tutoro and asking them how to sort it out. They then asked me a strange question. Did I still live at the same address? A couple of days later while relaxing in the bath (with a poorly shoulder again, but that is another story) the Postman (yes, it was a bloke) rang the bell. Cue me running to the front door, wrapped in a towel with wet hair and a cheeky smile where upon I am presented with a large box, stamped Tutoro! Inside was a little note, we are off on our hols, please fit this one to your bike and let us know what you think! Luckily modesty prevailed and I managed to get dressed before rushing down to the garage and sizing up where I wanted it to go. Luckily everything was easy to get to and fitting the new version of the auto oiler was so easy that I think I could do it blindfold! With Noreen, we placed the oiler in the space behind the pilots heel plate, but on Sylvie, there was no room there for that. However, I have had a hugger fitted to her and just there on the swinging arm is a now redundant threaded hole. The perfect place to mount my new auto, out of the way and in a place that will stay a little warm even on the coldest winter days, right behind the engine. Chain oil does not enjoy being cold and gets a little thick, this placement was just perfect. Tutoro Oiler in place on Sylvie. The run of the oil delivery tube to the nozzle is hidden just out of sight on the bottom of the swinging arm and is so well thought out as to be prefect. The tube is colourless, the green is the chain oil. So with that in place it was time for a test ride... Only with a damaged shoulder, the furthest I was riding was the sea front for Bike Night. Oh well, never mind. So there we go, if you want a chain oiler that is simple to fit, works and works and works with no fuss or plumbing into your bikes important systems, then you wont find anything better than a Tutoro Chain Oiler. Both Noreen and Sylvie wear them now and you know what, I would want it any other way. In other Sylvie news, her tyres let us down recently when they finally wore out, so it was with a heavy heart and significantly light purse that I headed over to see our friends Steve and Sue at Bridge Motor Services in Weston for some new shoes. New tyres are always going to be expensive, but sometimes you can't afford the super technical road and track racing tyres that your heart desires and instead have to make do with the ordinary sports touring tyres that you will actually use. Luckily, they had a lovely pair of Continental Contimotions in stock for me. A quick lift down the shop with my wheels from Steve the boss at Biker Rock Radio and the new shoes were slipped on in a flash. My purse though was not left in the steaming tattered state that it could have been, thanks to both Steve and Sue doing us a big favour. So I am going to end this post with a list of thanks to those kind people who continue to make my biking experience a damn good one. In no particular order, an absolutely huge round of doughnuts and thanks go out to these people. And all of you who read this stuff. Don't forget, you can leave comments and tell us what you think of our blog. 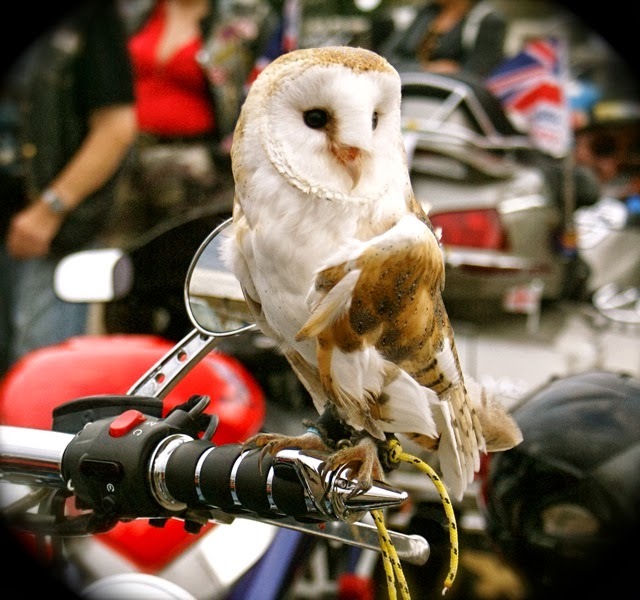 See you all very soon at Bike Night, every Thursday on Weston Super Mare sea front.